Cheryl was afraid. Afraid of the guards around the decontamination suite, afraid of the security cameras watching the corridors, afraid of the holding cells beneath the biodome. She was even afraid that the rumbling of her stomach might give her away. But more than anything, she was afraid of how close Connor was to starvation, and that if she couldn’t feed him she would be failing to live up to their parents’ last wish. She might only be thirteen, barely old enough to look after herself, but her six-year-old brother stood no chance without her. So she fought down the fear, instead remembering the pictures she’d seen of the outside world. The woods and fields still recovering from the devastation of war, beyond the safety of the biodomes. The apples in the trees, the rows of wheat. If she could get a biohazard suit then she could get out there and take some of that food. Sure, it was breaking the law, but better that than starvation. The camera at the corner turned its unblinking eye to look down the other corridor. Cheryl darted forward, through a door and into the locker room of the decontamination suite. There it was, hanging from an open locker. A thing of such promise that her heart skipped a beat. She reached up and grabbed the baggy orange suit, with its clear plastic helmet and rubber seals. 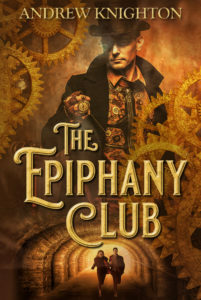 The cloth made a crunching sound as she bundled it up in her arms and turned back to the door. A woman stood there, hair wet, wearing only her underwear and a frown. “That’s not yours.” The woman planted her hands on her hips. “How do you know?” Cheryl tried her best to look indignant. For a moment, Cheryl considered running. But the woman looked well fed and muscled, and would be faster than her. With some adults, the best option was to seek sympathy. The woman shook her head and took another step forward, hand outstretched. Cheryl shut her eyes and prepared to cling on to the suit for dear life. There was no tugging at the cloth. After a moment she opened her eyes and saw that the woman had taken a camera out of the locker. Now she sat on a bench, thumbing a button on the device until she saw the image she wanted. Her eyes were sad as she held the camera up to show Cheryl. “That’s what’s outside,” she murmured. There were no trees in the image, no fields of corn. Just a landscape of blackened, shrivelled things, among which a diseased dog limped along beneath a gunmetal grey sky. The biohazard suit fell in a crumpled heap at Cheryl’s feet. She trembled from head to foot. “But how will we eat?” she whispered. Cheryl thought of Connor, curled over around his empty belly, barely able to get out from beneath his blanket. 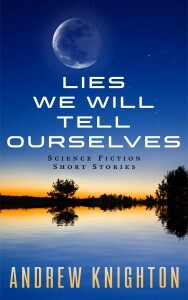 My collection of science fiction stories, Lies We Will Tell Ourselves, is free on the Kindle today and all weekend. 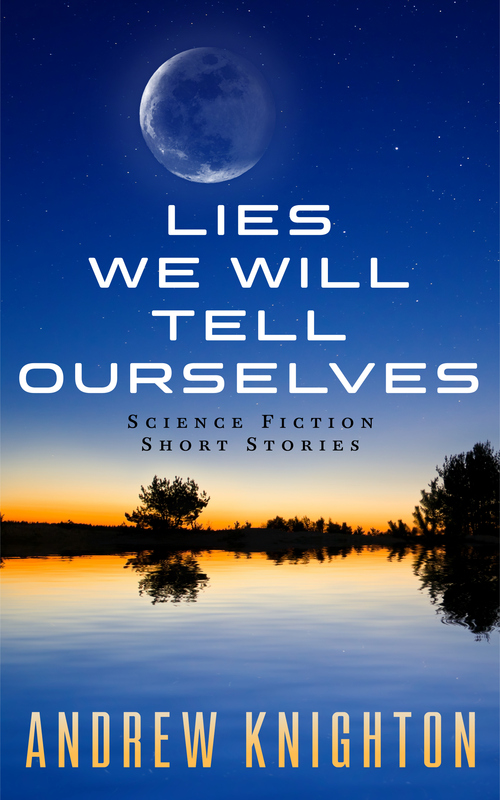 So if you enjoyed this then why not go pick up some more of my sci-fi?